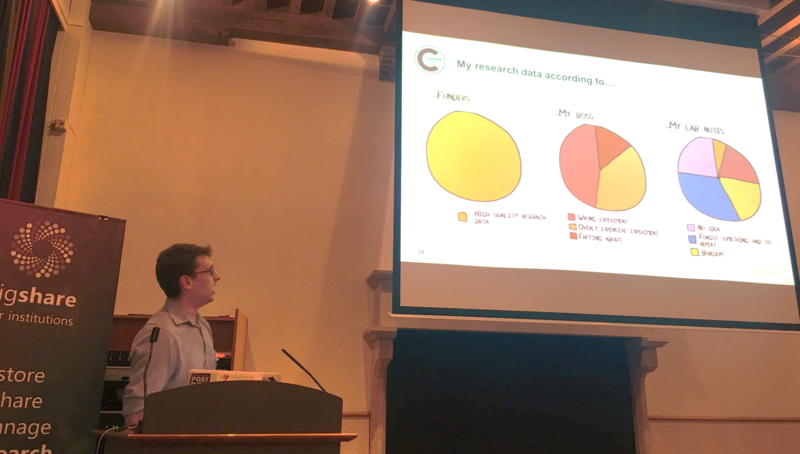 At the end of June, two Cranfield University staff were invited to speak at figsharefest Europe, hosted by the library of the University of Amsterdam. 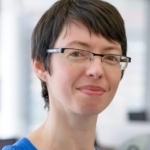 Georgina Parsons, our Research Data Manager, was invited to share a case study of developing research data management (RDM) services and implementing figshare at Cranfield (Her “Getting figgy with it” slides are, of course, available on CORD.) It was great that figshare felt that our progress has been so successful that they wanted us to showcase our work in Europe. The event began with an introduction from Dr Mark Hahnel, CEO of figshare. It’s always reassuring when a company’s values and beliefs align with our needs: we all agreed on the need for system interoperability, the use of relevant identifiers (not just DOIs and ORCIDs but, say, grant codes), and a desire to ensure that shared outputs are human and machine readable for more efficient querying and reuse. He shared other recent highlights, such as full indexing for Google Data, the new citation count metric on every item, and enabling some data to be not just viewable but editable in the figshare interface! An interesting workshop discussion concerned using figshare for theses, publications, and learning objects as well as other types of output, and whether requirements for different materials would need further development of the system. 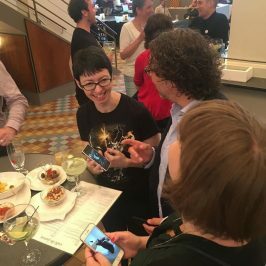 The incentivisation brainstorm was also fun – if figshare gave us £1m, what would we use it for to encourage and help researchers to publish more outputs openly? So many ideas were generated, including providing more library support staff, data scientists, a review service (checking statistics, cleaning code, etc), adding publisher stamps (could your data get a Nature seal of approval? ), dedicated marketing to increase visibility… what would you want? There was certainly no promise of a £1m cheque in the post, but it’s important to look into what might be possible!